I have such a fun giveaway to share with you guys today. Today is the anniversary of Bonnie and Clyde's last deadly shootout and in honor of this, Forge and I have partnered up to give away a copy of Becoming Bonnie by Jenni L. Walsh. Becoming Bonnie just came out earlier this month and I've had my eye on it. I am curious to find out how Bonnie, once a wholesome girl, turned into the infamous Bonnie who we are all familiar with. Plus, I just read that Becoming Bonnie has already been optioned for television by Edyson Entertainment. To learn more about Becoming Bonnie, check out the information below. "The summer of 1927 might be the height of the Roaring Twenties, but Bonnelyn Parker is more likely to belt out a church hymn than sling drinks at an illicit juice joint. She’s a sharp girl with plans to overcome her family's poverty, provide for herself, and maybe someday marry her boyfriend, Roy Thornton. But when Roy springs a proposal on her and financial woes jeopardize her ambitions, Bonnelyn finds salvation in an unlikely place: Dallas's newest speakeasy, Doc's. Living the life of a moll at night, Bonnie remains a wholesome girl by day, engaged to Roy, attending school and working toward a steady future. 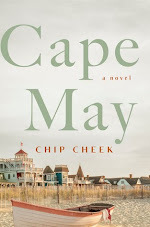 When Roy discovers her secret life, and embraces it—perhaps too much, especially when it comes to booze and gambling—Bonnie tries to make the pieces fit. Maybe she can have it all: the American Dream, the husband, and the intoxicating allure of jazz music. What she doesn't know is that her life—like her country—is headed for a crash. She’s about to meet Clyde Barrow. Few details are known about Bonnie's life prior to meeting her infamous partner. 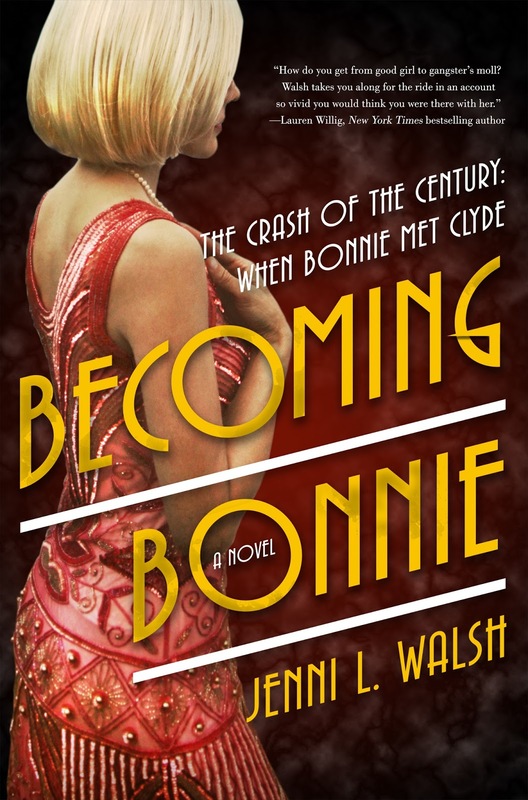 In Becoming Bonnie, Jenni L. Walsh shows a young woman promised the American dream and given the Great Depression, and offers a compelling account of why she fell so hard for a convicted felon—and turned to crime herself." 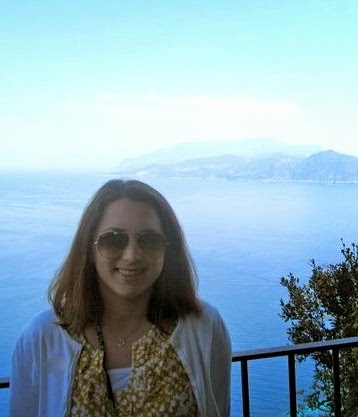 Jenni L. Walsh as spent the past decade enticing readers as an award-winning advertising copywriter. Her passion lies in transporting readers to another world, be it in historical or contemporary settings. She is a proud graduate of Villanova University, and lives in the Philly 'burbs with her husband, daughter, son, and goldendoodle. You can visit her online at http://www.jennilwalsh.com/ or on Twitter under the handle @jennilwalsh. Thanks to Forge, I am giving away a copy of Becoming Bonnie by Jenni L. Walsh to one US reader. Please refer to my giveaway rules and the deadline is May 30th. Good luck! Oh that's so cool! I've been curious about this infamous duo but I've never really taken the time to seek them out. Thanks for putting this on my radar! Me too. They are definitely a fun topic for a book. Thanks for visiting, Joy! That looks like a very interesting read! 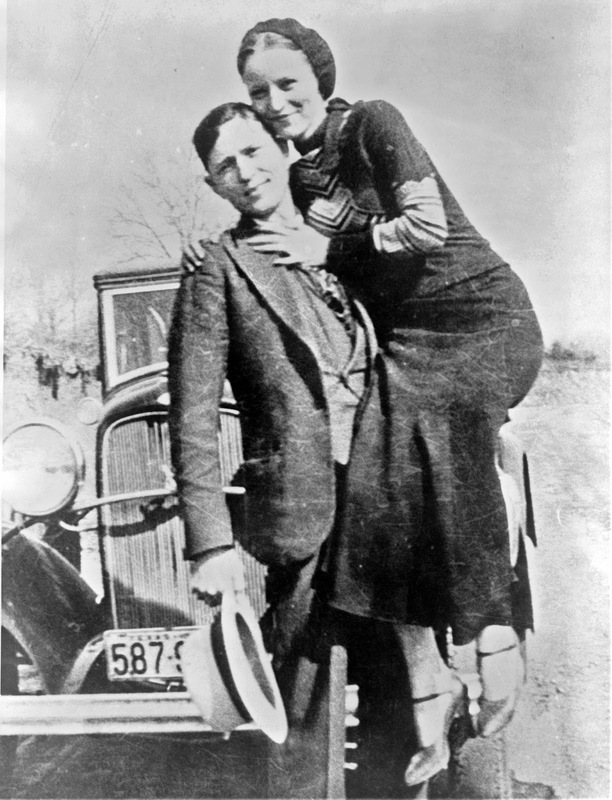 Would love to know more about Bonnie & Clyde! Great cover too. Me too. I'm glad you agree. Thanks for dropping by, Greg.